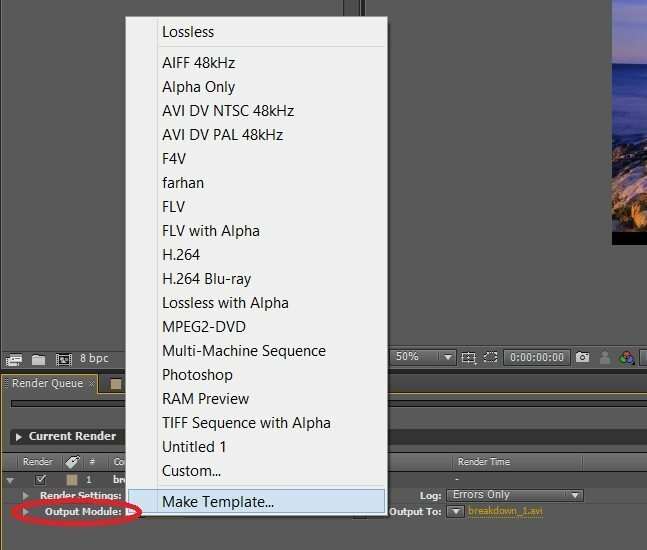 Create a Custom Render Template in After Effects to save your desired rendering settings and use them every time with just a single click. Every time you are done with creating a Visual Effects shot in After Effects, you need to Render out your project file in order to save it into some desired video or image formats. 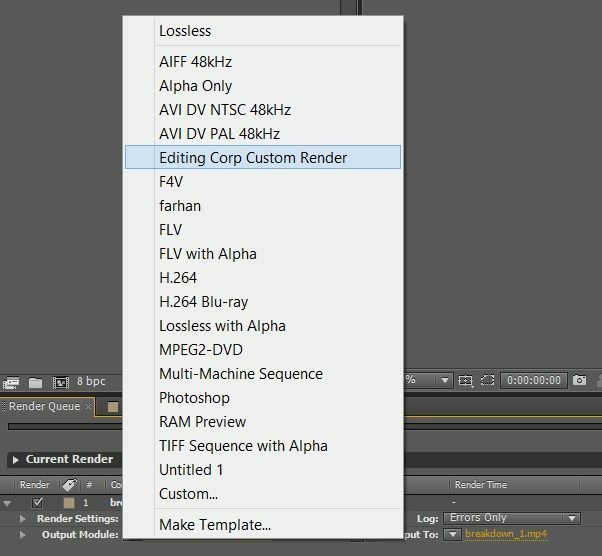 Render settings depends on your composition and the format at which you want to save the file. Mostly, I work with a Full High Definition composition and my favorite render format is h.264 with Target and Maximum Bitrate both set at 8 Mbps. When you add a composition into Render Queue, the default format is AVI and you need to change all the settings every time you render. 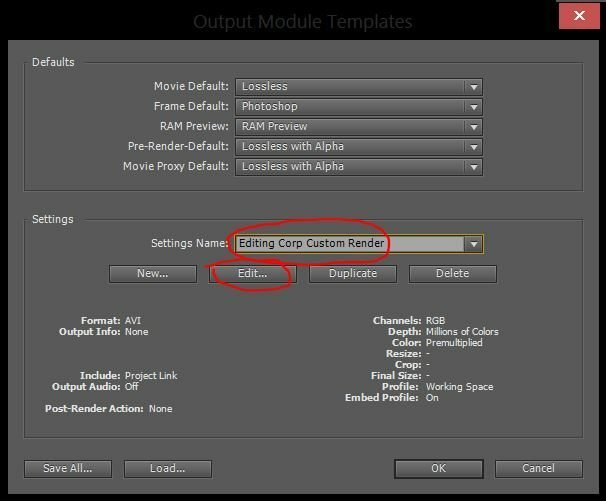 But with a Render Template, you can save your desired output settings and create a custom template for rendering. Add you Project or Composition into Render Queue by going into Composition > Add to Render Queue, or use the keyboard shortcut key [CTRL +SHIFT+/]. Click on the Output Module drop down arrow and select Make Template. Enter your Custom Template name in Settings name and then click on the Edit Button. 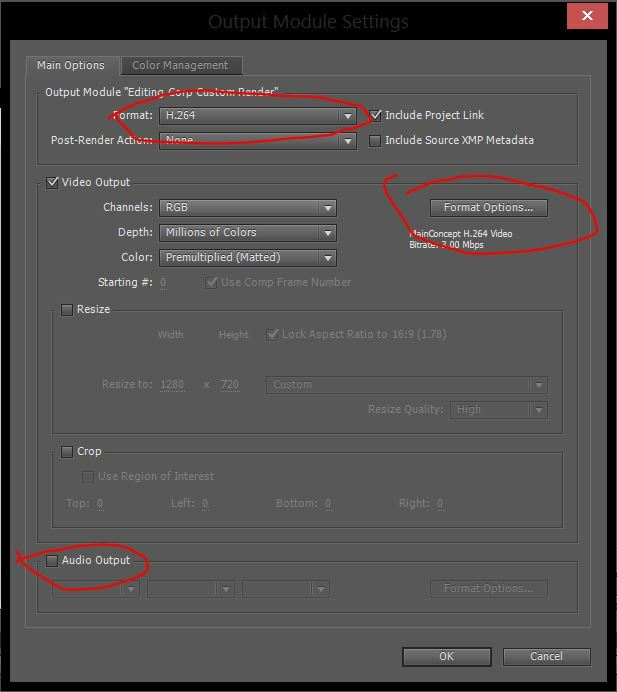 When you click on the Edit button, Output Module Settings window will appear, configure your output format and audio settings and click OK.
Again click OK on the Output Module Template window and your custom render template will be saved. To use your Custom Render Template, Add your project or composition into a Render Queue, Then click on the Drop Down arrow button at Output module. Find your custom template from the Output Module list and select it to use those custom settings for Rendering out your composition. You can create number of different templates according to your workflow and composition. Make sure to name it correctly to avoid any confusions.